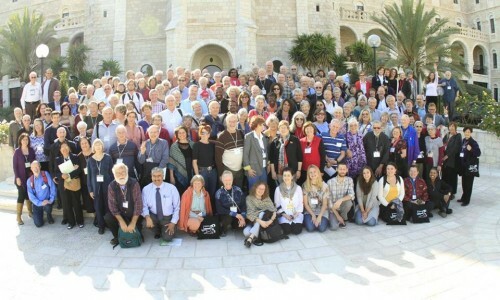 Sabeel’s 9th International Conference focused directly on the issue of the Bible.It has taken us many years to arrive at this point: to address squarely the use, misuse, and abuse of the Bible. Finally the hour has come. A quick look at the last 25 years shows the rich variety of themes Sabeel has chosen for its nine international conferences.Every one of them has been relevant to the life and wellbeing of the Palestinian people who have suffered since the creation of the state of Israel over 65 years ago, and have been living under the illegal Israeli occupation for close to 50 years. 1stconference, March 10-17, 1990 – Tantur. “Palestinian Liberation Theology.” The Book: Faith and the Intifada. 2ndconference, January 22-29, 1996-YMCA East Jerusalem.“The Significance of Jerusalem for Christians and of Christians for Jerusalem.”The Book: Jerusalem: What Makes for Peace! 3rdconference, February 10-15, 1998 – Bethlehem University. “The Challenge of Jubilee: What Does God Require?”The Book: Holy Land Hollow Jubilee: God, Justice and the Palestinians. 4thconference, February 21-24, 2001 Jerusalem, Notre Dame. “One New Humanity: Where Justice is at Home.” No book was published. 5thconference, April 14-18, 2004 – Notre Dame, Jerusalem. “Challenging Christian Zionism.”The Book: Challenging Christian Zionism: Theology, Politics and the Israel-Palestine Conflict. 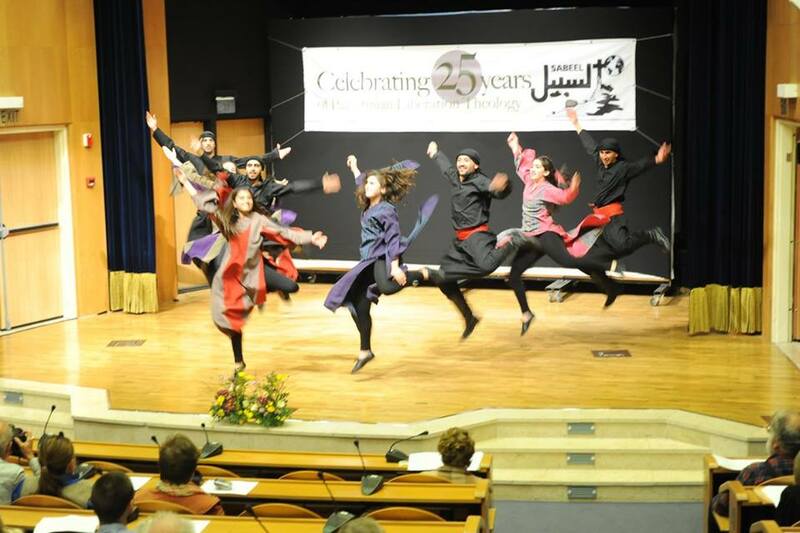 6thconference, November 2-9, 2006 – Notre Dame, Jerusalem. “The Forgotten Faithful: A Window into the Life and Witness of Christians in the Holy Land.” The Book retained the title as the conference theme. 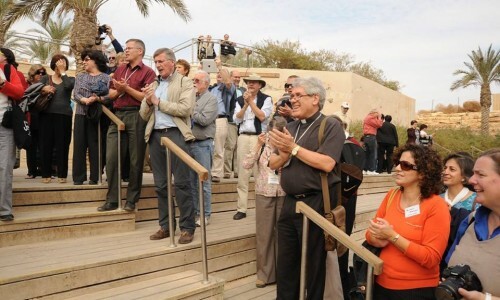 7thconference, October 12-19, 2008 – Nazareth & Jerusalem. “The Nakba: Memory, Reality, & Beyond.” Pre-conference publications: I Come from There … and Remember and A Time to Remember; Palestinian Towns and Villages. 8thconference, February 23-28, 2011 – Bethlehem Hotel, Palestine.“Challenging Empire:God, Faithfulness and Resistance.” The Book retained the conference theme. 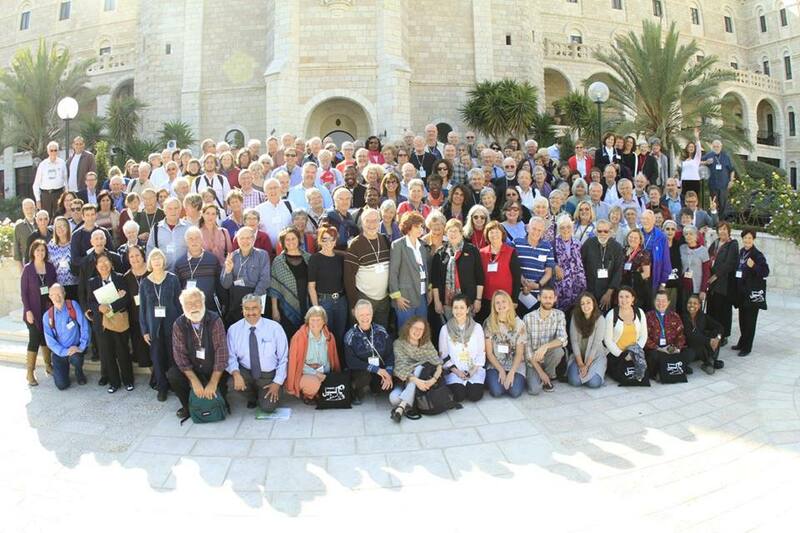 9thconference, November 19-24, 2013 – Notre Dame, Jerusalem.“The Bible and the Palestine-Israel Conflict.”The Book retained the conference theme. 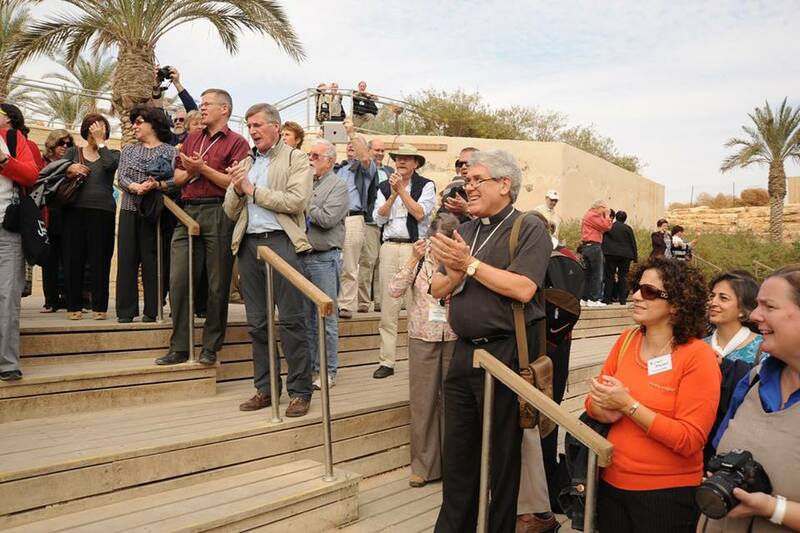 Sabeel, as a center of Palestinian liberation theology, has obviously used the Bible and theology extensively during all of these conferences, but it was not until the 9thconference that it became the focus, primarily due to the increasing misuse and abuse of the Bible, especially by both right-wing Israeli settlers and right-wing Christians. Sabeel’s 9th International Conference was held at the Notre Dame Convention center in Jerusalem, November 19-24, 2013.The workshops and focus groups were held at the Freres School within the walls of the Old City of Jerusalem.On-site visits were arranged to the Negev as well as to Hebron and the Bethlehem area. The conference ended with a celebration of 25 years of Palestinian Liberation Theology at the Inter-Continental Hotel in Jericho where we were joined by several busloads of people from Nazareth in the Galilee.The attendance ranged between 250 locals and internationals in the Jerusalem venue and 500 in Jericho.The participants came from 17 different countries. Sabeel and its global friends represent a broad range of Christian backgrounds that span the major Christian denominations, namely, Orthodox, Catholic, Protestant, and Evangelical, also including a good number of people who have no specific religious commitment but see themselves as secular.Due to this diversity, it was important to address the theme of the conference in such a way that it could speak to those who come from faith perspectives as well as those who do not. Furthermore, since Sabeel is an ecumenical organization and our friends come from a wide theological spectrum, ranging from the liberal to the conservative and from the Evangelical to the Catholic, we had to design a special format for most of the sessions.We were determined to expose the participants to various theological perspectives of Bible reading, interpretation, and understanding. We have always maintained at Sabeel that the Bible, when rightly interpreted and understood can inspire Christians to reject violence and war and work for justice and peace for the oppressed.But when wrongly interpreted, the Bible can arouse and motivate us to use violence and to even kill others in the name of God and the Bible.Therefore, we felt that we cannot promote the resolution of the Israel-Palestine conflict on the basis of the Bible and the way it is understood and interpreted, especially by extremists. Moreover, in some parts of the Bible there are texts that reflect violence and terror that are attributed to God and are therefore open to misuse, especially in our existentially troubled societies. It is easy for such texts to be abused by extremists as they, indeed, are. Where then is the place and role of the Bible?To begin with, it is important to discover the authentic message of the Bible.We believe that in both the Old and New Testament, the heart of the message is that of love and mercy, justice and peace, liberation and nonviolence, forgiveness and reconciliation.Any message that does not emphasize these and similar characteristics cannot be a message from God to us. Tragically, however, we have not yet seen the full realization and implementation of international law, but I believe that it is only a matter of time. International law is not prejudiced against the State of Israel and the Jewish people nor is it prejudiced against the Palestinians and the Arabs.It is prejudiced and biased towards truth and justice. It upholds and promotes justice and peace among nations. We therefore designed the conference program in such a way as to have it climaxed by referencing international law clearly as the foundation for a lasting peace. On the one hand, international law should be used to determine and to adjudicate the injustices committed by both sides—the Israeli government and the Palestinian government. On the other hand, international law should be the basis on which the future peace is constructed. We believe that it is the only foundation that can guarantee longevity and permanence. We are sure that no peace imposed by Israel can last if it is not built on justice as interpreted and administered by international law and democratic principles that ensure the equality of all people. Such a peace needs to be cultivated and nurtured by a system of education that can build a culture of democracy, peace, and nonviolence. At Sabeel, we believe that sooner or later the leaders of the world will insist on finding ways to foster the respect and implementation of international law by the countries of the world and to demand the compliance of all. What is needed is thewill on the part of the international community to take a conscious and intentional stand and to execute its own UN resolutions. The possibility of peace for the people of Palestine and Israel is real. People’s dreams for peace and prosperity can be realized in our lifetime. Long ago the formula for peace was laid down by the prophet Isaiah. But what could not be realized at the time of the prophet has a greater chance to be realized in the twenty-first century due to the presence of international law.Isaiah wrote, “The effect of justice will be peace and the result of justice quietness and trust forever” (Isa. 32:17).When peace is based on justice and justice is defined by international law, it stands a good chance to succeed. The spirit of the Bible can then coincide with the principles of international law; both Palestinians and Israelis can share the land and can live together in peace and trust. Our immediate and urgent responsibility is to be actively engaged in peacemaking so that we can challenge world leaders to do justice.“Blessed are the peacemakers for they shall be called children of God” (Matt. 5:9).